What pesticides are safe for use in an enclosed locked medical marijuana production facility? 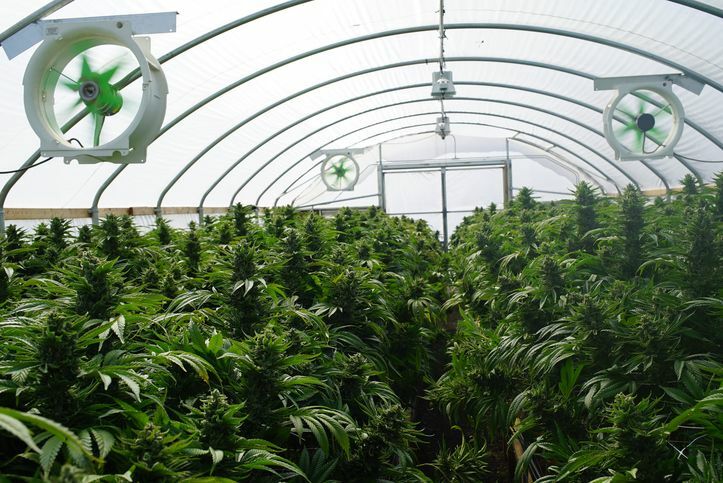 Growers should use "minimum risk" pesticides in enclosed greenhouses or grow-houses. These pesticides do not require registration because they are safe to use on almost any crop or site. The Nevada Department of Agriculture will still enforce all applicable statutes and regulations. It is the grower's responsibility to identify a pesticide that contains an active ingredient safe for products that are imbibed, has a label that does not prohibit use in grow facilities, and is registered for sale in Nevada. What happens if a medical marijuana sample tests positive for pesticide residue? The law requires medical marijuana production batches be tested and any batches that test positive must be destroyed. Which pest control categories are appropriate for production of medical marijuana? Agriculture Ground categories. B1 for insect pests, B2 for weeds, B4 for fungi pests, and B5 for vertebrate pests. Which Restricted Use Pesticide (RUP) Certification should be obtained to apply RUPs to cannabis? The Nevada Department of Agriculture does not have an RUP category specific to Cannabis. The Nursery/Greenhouse certification is the best fit for individuals who will apply RUPs in medical marijuana facilities. DO YOU NEED CONTINUING EDUCATION TO RENEW YOUR NEVADA APPLICATOR LICENSE? This entry was posted in Pesticide and tagged medical marijuana, Nevada Pesticides.